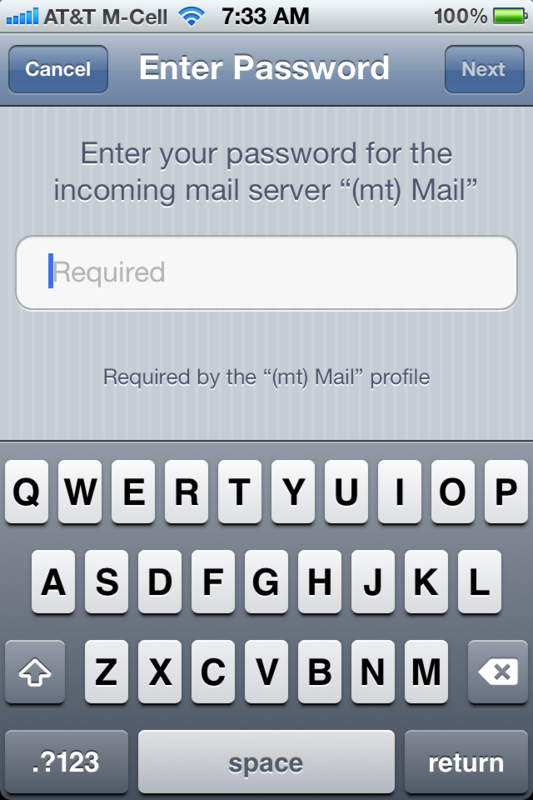 Hi, let's set up your email client. Enter the email address you'd like to set up. Tell us which email client you are using. 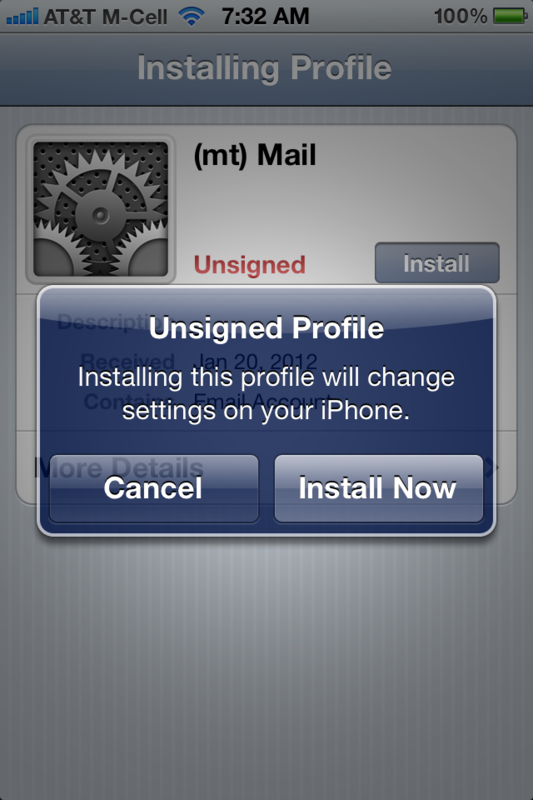 Don't see your email client listed? DNS for this domain name is not currently pointed at (mt) Media Temple. Click here to read about the changes you'll need to make. The MX records are not currently pointed at (mt) Media Temple. 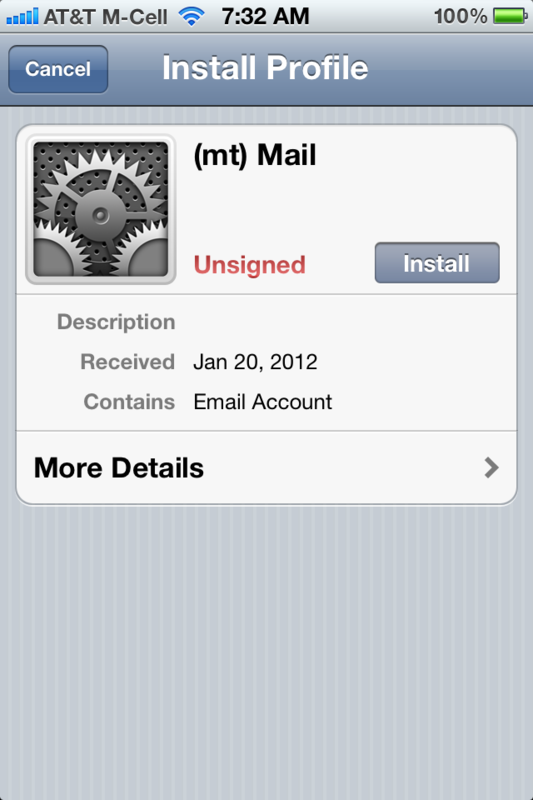 This tells us that this email address is probably being handled by an external email provider. These instructions will probably not work for you. Click here to learn how to change your DNS records. Click here to read about DNS and MX records. 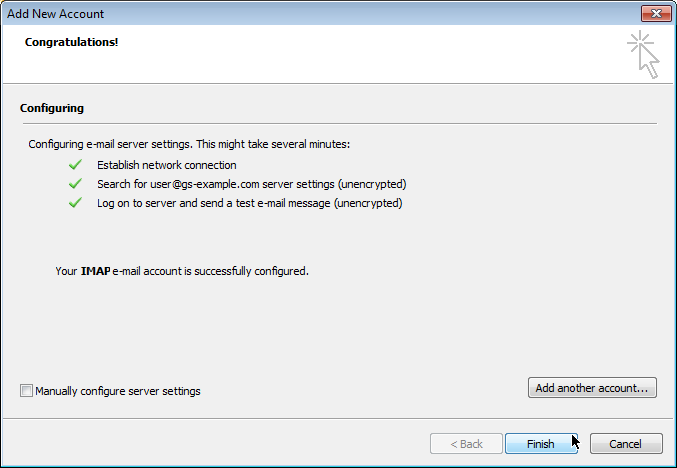 Before continuing, you will need to ensure a special DNS record exists in this zone file in the Account Center. 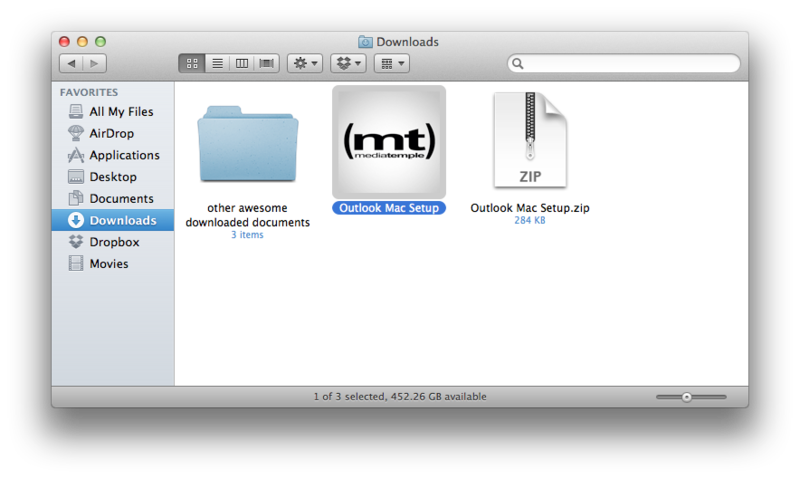 This record tells Outlook how to configure itself. 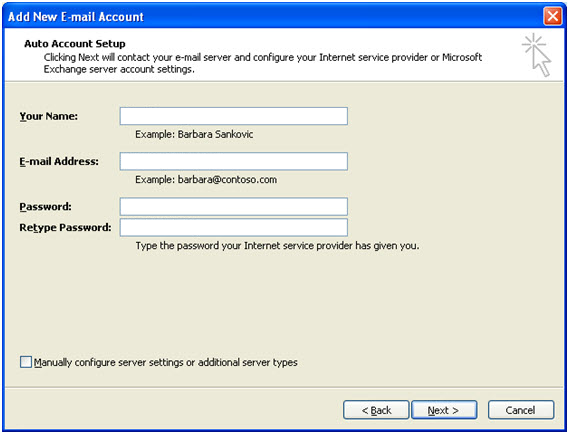 It looks like your email account is hosted on a (dv) Dedicated Virtual Server or (ve) Server. We suggest using SSL for best security, but doing so will probably cause your email application to display an SSL Certificate warning during the setup process. If you see such a warning, it is safe to proceed and trust the certificate. If given the option, we suggest you 'always allow' or 'permanently trust' the certificate so you do not see future warnings. Download this configuration program to your computer, uncompress it, and run it. Enter your full name when prompted. Your account has been created, and the Mail application is checking for new messages. You will be prompted for your password in order to proceed. Congratulations! If you see mail in your Inbox, you're all set! 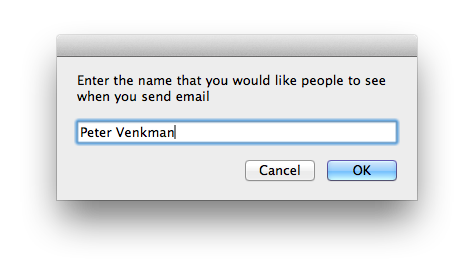 Enter your name when prompted. After clicking 'OK', please patient while your account is configured. 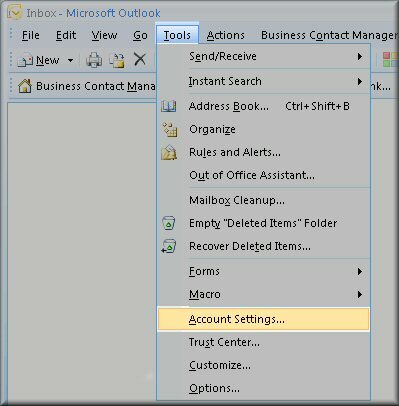 After your account is configured, Outlook will check for new messages. You will be prompted for your password in order to proceed. 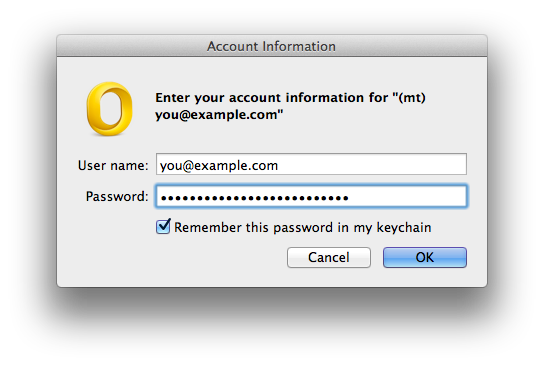 Make sure to click "Remember this password in my keychain" or you will be prompted for your account password every time you check your email with Outlook. 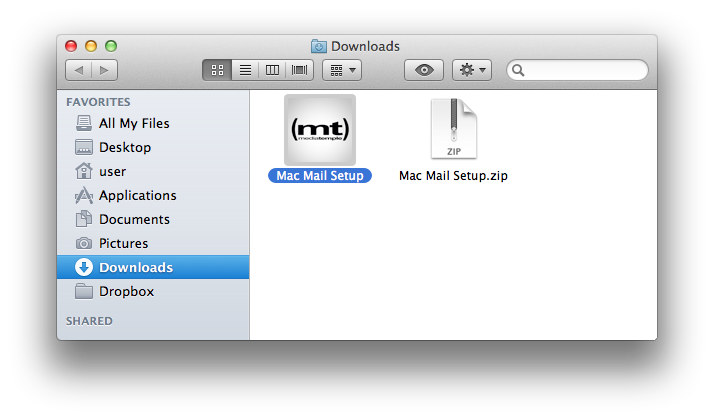 Once the file is downloaded, tap 'Install'. Tap 'Done' and you're all set! Automatic set up instructions for Thunderbird. 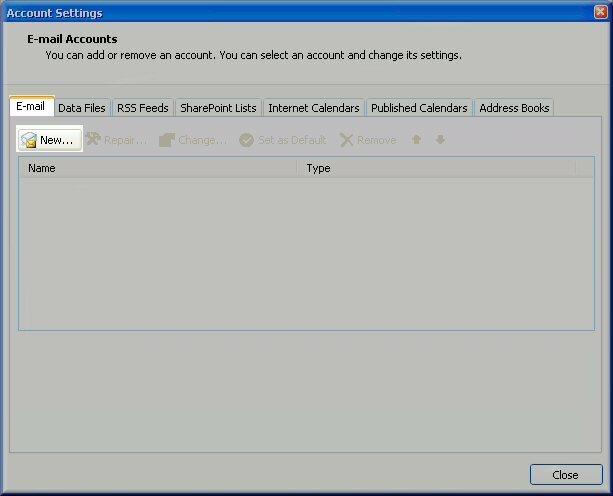 Open Thunderbird and click "Create a new account". 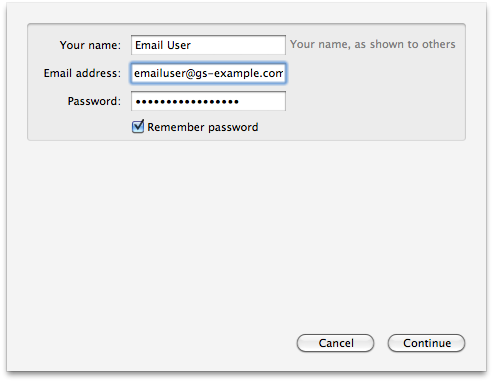 Enter your name (as you wish it to appear when you send email), email address, and the password for your email account. Click "Continue". Thunderbird will detect the proper settings. Click "Create Account" to finish. You should see your new account listed in Thunderbird. All set! 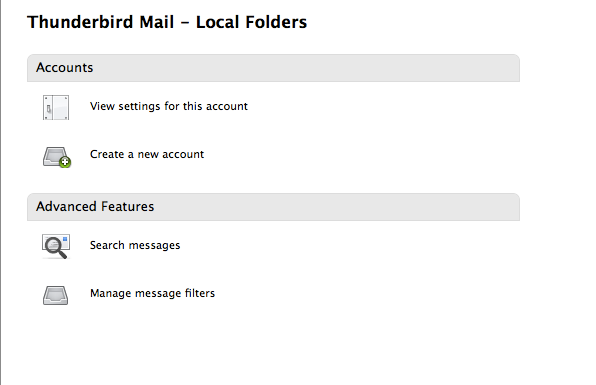 Please follow the instructions in the (mt) Community to set up Thunderbird. Choose the Email tab and then click on the New button. 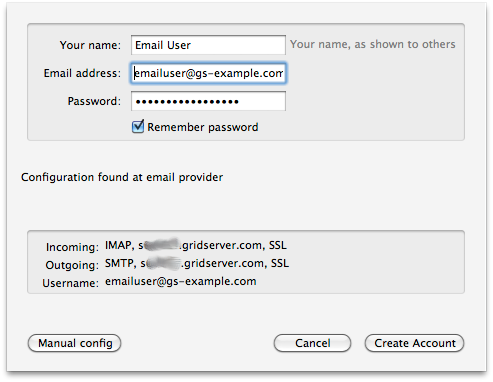 Make sure to choose the IMAP/POP account type and click Next. Fill in your full name, email address, and password. 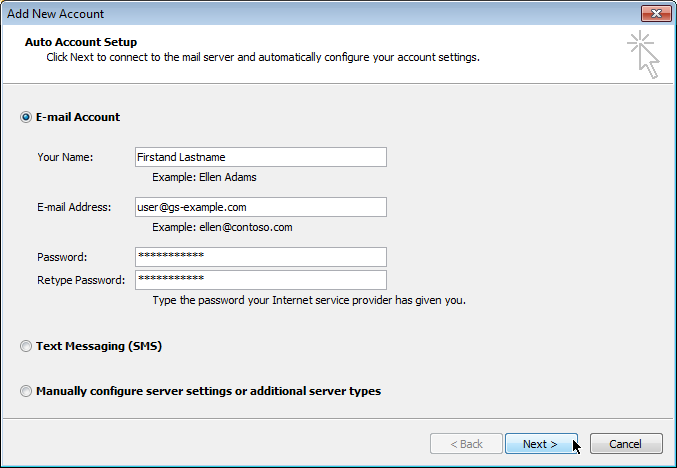 Make sure "Manually configure server settings" is not selected. Then click Next. 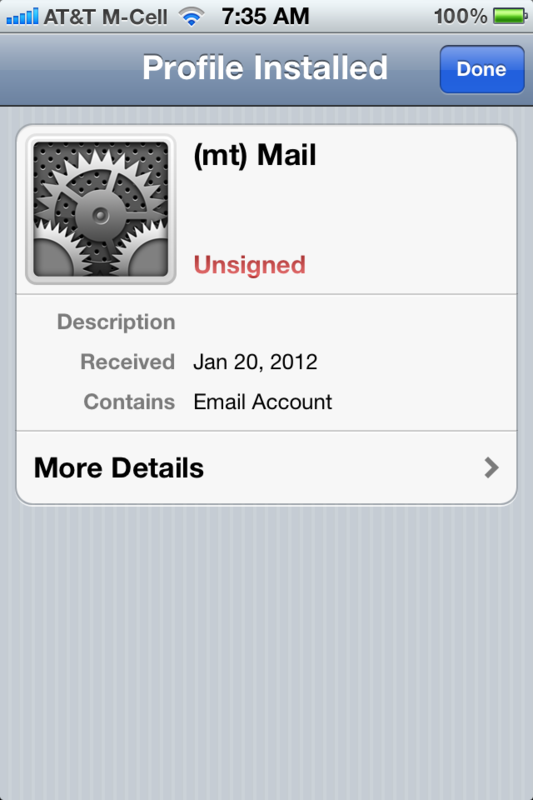 Email settings are automatically discovered and your account is now set up. 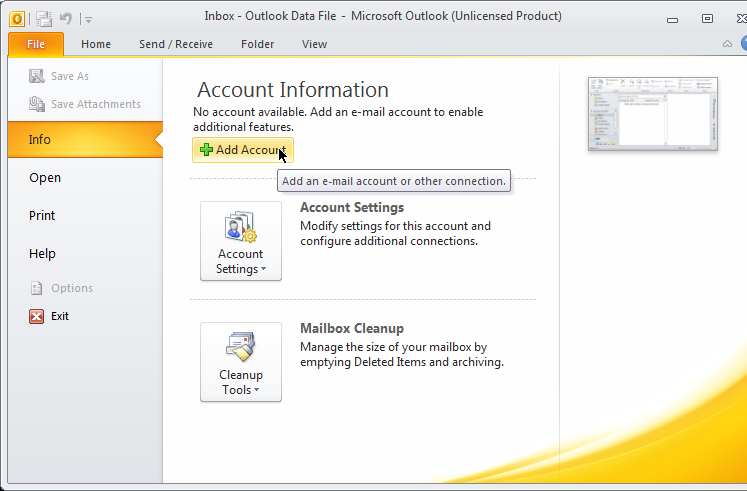 Open Outlook 2010 and click on File, and then Info, and then Add Account. Now enter your full name, your email address, and your password. Then click Next. 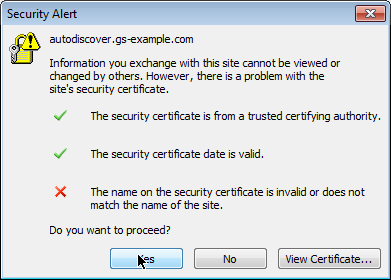 You may encounter an SSL warning for the "autodiscover" service. This is expected. Click "Yes". 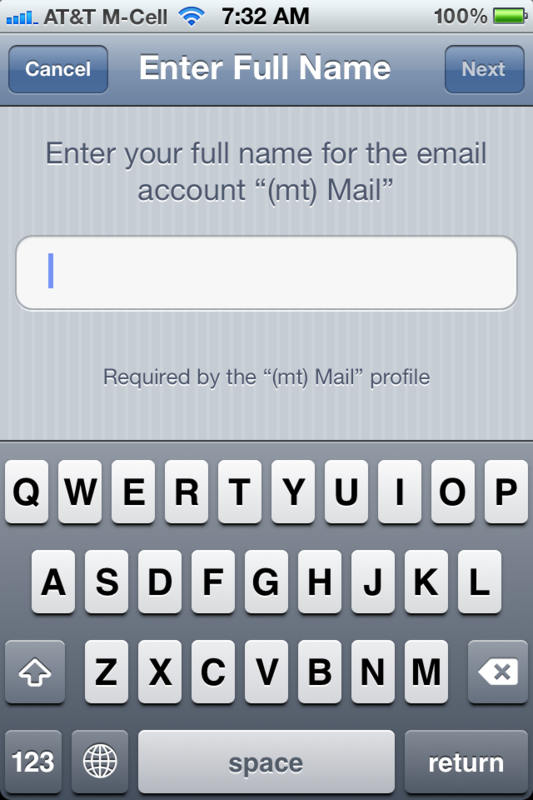 If your user name and email are correct, you can click "Finish" and start using this email account. Android devices currently do not support automatic configuration. Our email products will work most any email client out there. We are sorry that the email client you are interested in is not listed. 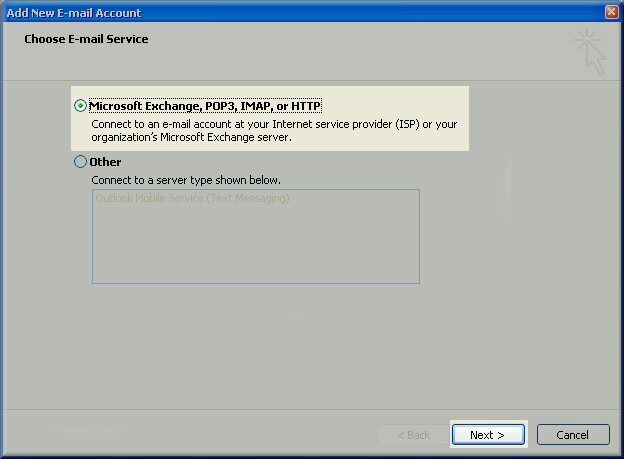 This Community article should be able to help you with any of the details that you will need to set up your email client.